It’s so easy to close myself off thinking that it will protect me, but those places where I am closed off, I am being false to who I am meant to be. 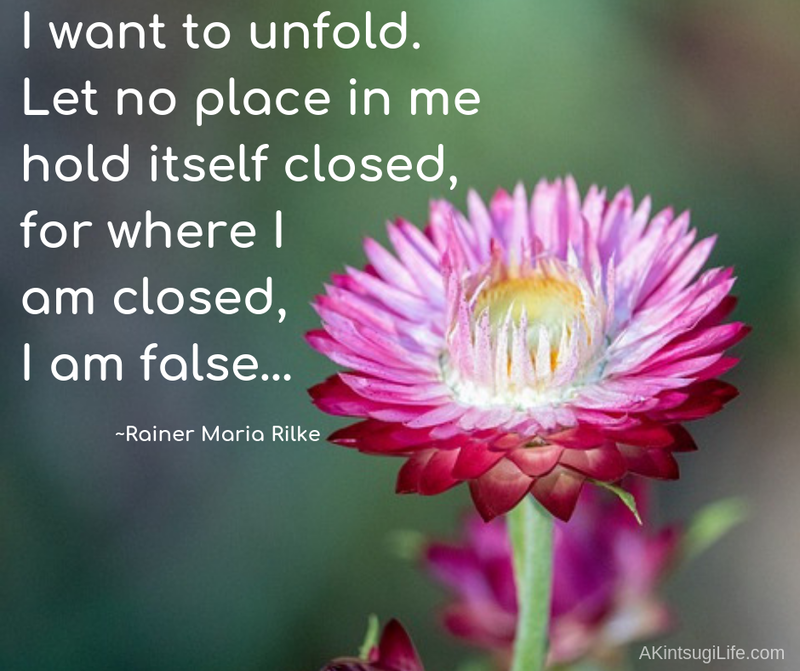 I want to learn to unfold and open myself to life, even when it feels scary, because living in truth ultimately seems safer than being closed off. What do you think? 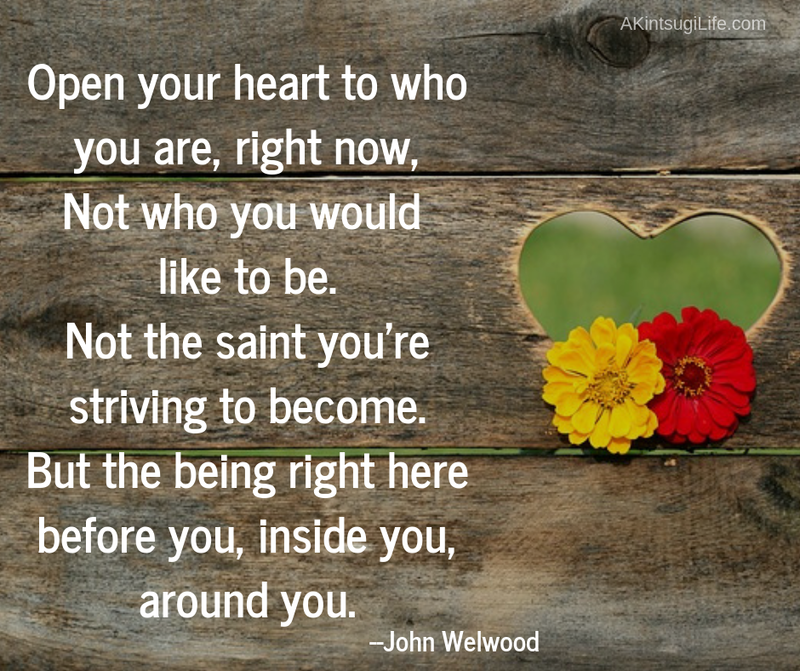 It’s so tempting to try to reject the difficult parts of ourselves, our lives, and our experiences, but learning to embrace all of who we are and what we experience (even as we may work to change it) is a much more self-compassionate way of being that leads to wholeness rather than living in constant rejection of parts of our reality. How do you treat the broken places in your life? Have you tried embracing them as a integral part of life? 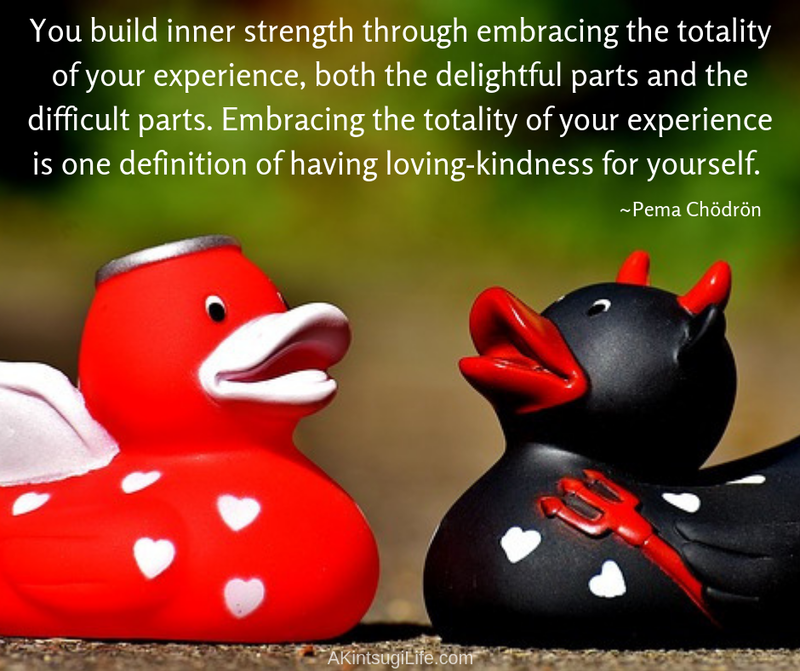 It is possible to embrace them even while working toward healing. 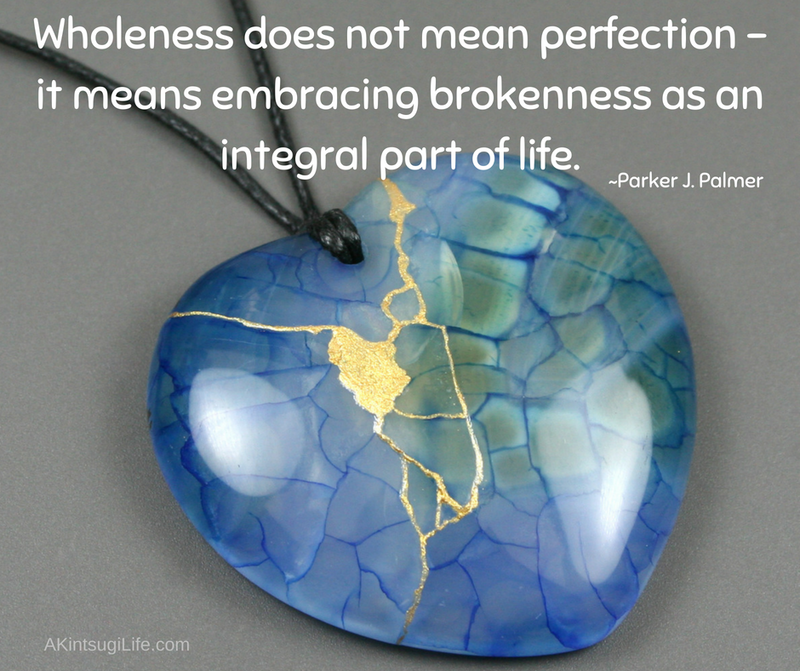 That’s the way to wholeness. Accepting our wounds, our broken places, our weaknesses, our faults does not mean we have to like them or be grateful for their existence; it simply means accepting the reality of what is true about our lives in this moment. 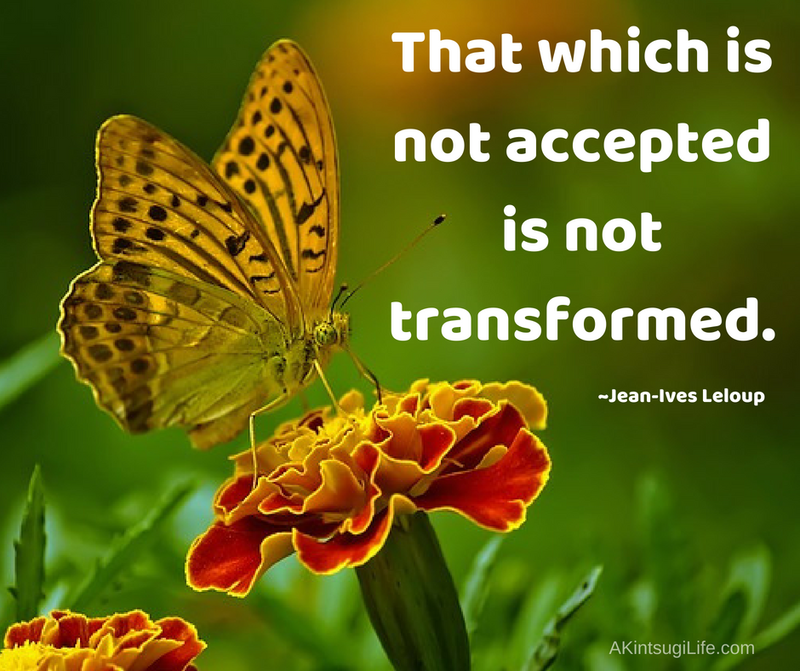 It is only when we can accept our reality that it is possible for it to be transformed into something more valuable.